The soundtrack for Banjo-Kazooie, arguably one of the best games from the Nintendo 64 era, is now available for purchase. Grant Kirkhope, who wrote the music for the game, has put up the 17-track set for purchase on his Band Camp page. The soundtrack is fairly comprehensive, including the game’s main theme, opening cinematic and music from all of the different stages. 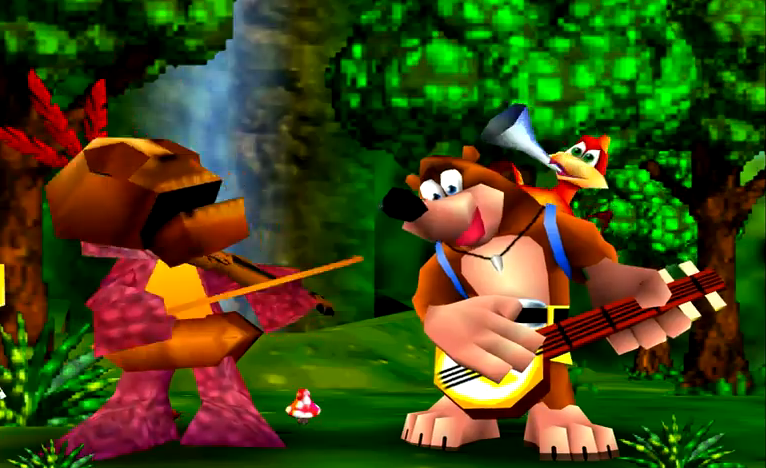 Personally, as a long-time fan of the Banjo-Kazooie franchise, I would have preferred if the soundtrack featured the different flavored themes of Gruntilda’s Lair and all the season themes of Click Clock Wood, but beggars can’t be choosers. With the release of this soundtrack, we can only hope that a similar collection from the game’s sequel, Banjo-Tooie, is on the horizon. For now, however, this writer is perfectly content with this compilation.